More often then not, entrepreneurial enterprises get lumped together as all the same. We speak of entreprenuers which includes people who start restaurants, new retail stores, or web 2.0 companies. While we often recognize the difference between companies that “can scale” (like software) with companies that can not (consultant services, stores, etc), we seldom consider the differences in people that these businesses require. A non-scalable company is like a rowboat. It takes people with perseverance, strength, direction, and determination to move the row boat where it needs to go. These businesses require a daily grind that has to happen over and over again, but in many ways, they are in control of their destiny. This isn’t to say that people don’t get in leaky boats to begin with, or run out of strength halfway in between, or miss a hurricane coming their way. But assuming the mission is well thought out and well executed, they can make a lucrative living. 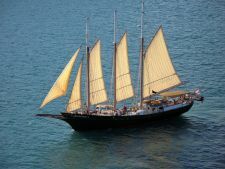 A scalable company is more like a sailboat with a small motor engine. The goal is to find the trade winds and sail around the world. In order to get there, they require fuel (typically in the form of venture funding) that allows them to time to both figure out where the winds are strongest, to follow the slightest breeze and then navigate their sail to take full advantage. This requires a lot of similar traits to rowing, but you’re trying to leverage your own effort into something much bigger. The cost is that you are somewhat at the mercy of the wind. You have to be agile enough to shift the sails quickly as you pick up on the wind, and to try different strategies quickly, though not without thought. Too much change of the sails and you’re dead in the water too. Since much depends on external factors, there is greater risk and greater reward. Ultimately, these two types of entreprenuerial enterprises require different types of people. The rowers need to be steady, solid, and strong in their rowing. The sailors need to be scrappy, failing quickly, and always learning to find the right configuration of the sail before the gas is gone.